Welcome back to the 2nd installment of our rankings series (see our U.S. list here), covering the best majors and programs specifically as they relate to the consulting field. Today, we highlight the Top 10 Global MBA programs for management consulting. Whether you reside outside of the U.S. and have been eagerly awaiting our international post to come out, or you are stateside and anxious to see the world, this list is for you! If you’ve been in industry for years and are now looking to break in to consulting, or you’re in the field already and going back for your MBA, you can’t go wrong with any of the programs on our list! In what should be no surprise to any of you, INSEAD checks in at the #1 spot on our list. With a sterling international reputation and an excellent cadre of educators, INSEAD has long been a pipeline in to the consulting industry. The school’s claim to fame is its accelerated 10-month MBA program, one of the top global experiences in the education world today. Commit to study and work hard for one year, and you’ll be rewarded with one of the most prestigious MBAs on the planet and a crack at some of the top consulting firms in the industry, as well as the quickest and best return on your investment. MBB firms are by far the biggest recruiters here, with McKinsey leading the pack as far as the number of graduates who land there. Plus, INSEAD is Bain’s number one global recruiting school – more global hires than from any other program (MBA or undergrad) across offices in multiple geographies. Many fret at the program cost (which is over $80,000 USD), but we have never found anyone who has regretted attending INSEAD, as the average annual salary of someone leaving the program is over $116,000. And with over 89% of graduates in the Class of 2015 receiving job offers within the first 3 months of leaving, you’ll be primed to excel as soon as you graduate. INSEAD’s biggest challenge is that it’s not on the standard 2-year MBA cycle, and with two start dates the recruiting process (especially for internships) is asynchronous with standard consulting firm practices. What does this mean for you? Full-time recruiting is the big game, and you only get one shot, so preparing for consulting before you even arrive at INSEAD is almost a must. It was a close call, but London Business School comes in a hair behind INSEAD for the #2 spot on our list. A major pipeline in to the consulting field, LBS has a stated goal of changing the way the world does business. A more traditional program in the sense that it is not on an accelerated timeline, LBS has been churning out top-tier graduates since 1964. The school boasts one of the largest exchange programs in the world, and has leveraged its reputation and contacts to land graduates positions all over the globe. In addition, its alumni network is known as one of the strongest of any school, anywhere. In the Class of 2015, 96% of the LBS graduating class received offers, with an annual starting salary of over $113,000. By far, the largest field they entered was consulting, with MBB firms snatching up a vast majority of graduates. One of the main focuses of the MBA program here is strategic and international management, which is a great foundation to move ahead into strategy consulting. We’re keeping the party going in the UK for our next school – Cambridge Judge. A top-ranked international MBA program in its own right, Judge nonetheless comes in at #3 on our list, in no small part because a majority of its graduates tend to go work in the financial services industry. Cambridge Judge is another advanced one-year program, and has the same tuition cost for UK and international students. With an annual enrollment of only 165 students, Cambridge Judge has created an intimate classroom environment where students are encouraged to look at new ways of solving problems. The school sits in the heart of England’s “Silicon Valley,” and this has certainly had its effect on the school. Entrepreneurship is a larger focus here than at many of the other schools on our list; however, this is not always a positive when you are looking to go in to the consulting industry. The alumni network out of Cambridge is strong (as you might imagine) and the connections you build here will be helpful to you even decades after you leave. Almost 90% of graduates land offers within 3 months of graduation, and the median starting base salary Judge alums is about $113,250, with an additional almost $14,000 average signing bonus given out as well. As with the top 2 schools on our list, the MBB firms have a heavy presence on campus here during recruiting season. Those who do go in to consulting from Judge overwhelmingly land offers from McKinsey, BCG and Bain. Coming in at #4 on our list is HEC Paris. Nestled by Versailles just outside of Paris, this recently updated campus has built itself a reputation as one of the top MBA programs in the world. With a recently updated MBA building and dorms (many MBA students live on campus), you are sure to have a world-class experience both inside and outside the classroom. With only about 15% of its last MBA class hailing from France, HEC offers a truly global flavor and perspective. The school ranks 1st in Europe for having the most alumni as CEO’s of Fortune 500 companies, and 4th overall. This is definitely an alumni network you want to be a part of! Interesting to note, the school overhauled its curriculum in 2012 with the help of Bain, so you can be sure that the material you’ll be learning has real-world, practical application. After all, you don’t go to B-school to be back in the world of academia, you go so you can double your salary once you leave. Speaking of salaries, graduates of the Class of 2015 averaged a healthy $110,000 in base salary in their new positions. Considered by many to be the best business school in Europe, the reason HEC is not #1 on our list is because of the steady stream of its graduates that go in to the tech sector, as well as the school’s still growing international profile. For the best consulting connections and placement opportunities, we recommend the top three schools on our list first. While Oxford should probably rank higher on an overall top MBA program list, its curriculum and recruiting is not as focused on consulting as the first four schools on our list. Oxford Said is shedding the school’s long held reputation of being elitist and for the UK moneyed class, as over 95% of last year’s class was from outside of the United Kingdom. With hardly any professionals from the top consulting firms, big banks and hedge funds represented, the admissions criteria is based more on intellect than credentials. Oxford’s stated mission is to enable students to tackle “world-scale problems,” and the school recognizes that it will take more than just bankers and current consultants to make that happen. The school’s intense one-year program is an investment well worth your time and money, as the average starting annual base salary for a graduate across all industries last year was over $98,000. The median starting salary for consulting at Said is lower than at Judge and HEC, which justifies the school’s position at #5 on our list. Oxford has also built a reputation for integrating its MBA program with the rest of its 38 colleges, which is quite a different experience then you’ll receive at some of the other schools represented here, where MBA students are mostly isolated. So if camaraderie and a more well-rounded cultural experience are things you value, Oxford Said may climb your personal list of schools. As you’ve found on our list already, the MBB firms are the major players on campus. While Oxford graduates aren’t known for going in to consulting, the ones that do populate McKinsey, Bain and BCG. A part of one of the world’s most prestigious research universities, Rotman is quickly becoming a destination MBA program with its reputation as a leader in management education. With top rated professors and great relationships with the many Fortune 500 companies located in Toronto, this school is one of the best investments in the MBA world. But what if your focus is specifically to go into consulting? While Rotman doesn’t crack our top-5, it comes in at a solid #6 on our list. Its focus on teaching students how to adapt in complex business situations and environments is perfect for the consulting world. Plus, all the big players in the industry have offices in Toronto and recruit here. What makes Rotman unique among the schools on our list is the personal, customized attention it pays to each individual student. With almost 20 career coaches on staff, every incoming student has one assigned to them before they ever begin classes, and this coach mentors them on their hard and soft business skills throughout the course of the program. Many students talk about how their coaches are an invaluable resource for them and how they build a genuine connection with them. By far the biggest business school in Canada, this puts Rotman at an advantage when it comes to its alumni network and draw for recruiters to come to campus. You’ll find that Deloitte and the MBB firms are the biggest recruiters here, with some other firms (A.T. Kearney, LEK, etc.) sprinkled in as well. IESE, based in Barcelona, checks in here at #7. One of the school’s main core values seems to be to put students outside of their comfort zones, and it is proud of it. The program prides itself on giving students strict time constraints to finish projects, training them to work well under pressure. Teamwork is a big focus at IESE, as a majority of the first-year program consists of students being broken up in to international teams of 7 members to complete various kinds of projects. Does anything sound like better training for the consulting world than being thrown in to a team with diverse members and being asked to solve challenging problems under time constraints? No, we didn’t think so either. 91% of graduates from the Class of 2015 received job offers within 3 months of graduation, and a majority of those graduates entered consulting. Big 4 and MBB firms are the major players on campus here, with some of the tech consulting firms thrown in as well. The average annual starting salary for IESE graduates going in to all fields coming in at just over $103,000. Why not go to IESE? Combine the name brand, location, and alumni networks of some of the other programs on our list, and you’ll have an easier time landing an interview at a top firm if launching from there. We’re going back-to-back Spanish schools for the number 7&8 spots on our list. Esade is one of the world’s best known business schools, and one that has building its stellar reputation since 1958. Headquartered in Barcelona but with campuses in Madrid, Mexico City and throughout South America, Esade has developed deep-rooted relationships with many different social and business sectors, and counts over 50,000 alumni in business leadership roles throughout the world. The school has primarily been known for its work in corporate innovation and social responsibility, as well as its focus on entrepreneurship. But why pick Esade if you’re looking to break in to consulting? Well, the importance the school places on flexibility within business will serve any future consultant well, as will the massive alumni network and the experience of being among one of the most diverse student bodies in the business world. You’ll probably learn just as much (if not more) from the quality and variety of people around you as you will from the curriculum. A strike against Esade if you’re wanting to go in to consulting is the fact that a majority of its graduates end up entering the tech sector, so the school’s relationships with firms and alumni will be more limited in consulting as compared to the tech industry. And while many top firms have offices in Madrid and Barcelona, these aren’t the offices that graduates of a top business school generally would prefer. However, the school does a great job of launching graduates in to careers. A full 96% of the Class of 2015 received job offers within 3 months of completing the program, with an average starting base salary of over $88,000, deflated by the heavy focus on tech and the fact that generally, consulting European salaries skew lower. The top consulting recruiters at Esade are MBB and Big 4 firms. Quickly shooting up the ranks as one of the world’s best business schools, Hong Kong University of Science and Technology lands a place in our prestigious ranking as well. At HKUST, students have the option to complete the program in either 12 or 16 months. 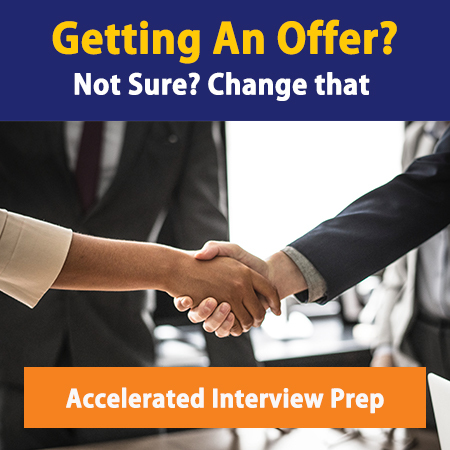 The 12-month option will ensure that you miss out on a chance for a summer internship, so if you are considering the accelerated track, it would be best if you are not changing careers. In fact, a majority of the program’s 12-month students are company-sponsored. The 16-month program is tailored toward professionals who are looking to change career tracks, and includes the chance for a summer internship and to spend a semester in your second year at one of the school’s partner universities abroad. Global business and leadership development are the main twin focuses at HKUST, and if you are in or looking to transition to an office in Asia this is a great alumni network to tap in to. Although over 90% of a typical class is from outside of Hong Kong, a majority of graduates end up staying in Asia. HKUST is not as transparent as your typical MBA program when it comes to placement statistics, average starting salary of graduates, or even the average GMAT score of its students. IMS Consulting is the biggest consulting firm that hires out of here, as well as big global tech consulting firms. However, the Top 3 and Big 4 recruit here as well. If you’re looking to enter the consulting field in the Asian market, you won’t go wrong with HKUST. The National University of Singapore rounds out our list, coming in as the #10 best global MBA program for consulting. An incredibly small class size (120) ensures that students at NUS have plentiful access and attention to professors that come from such places as Harvard and Oxford. The school’s stated goal is to be a major producer of the leaders of Asia’s next great companies. As such, NUS places a great focus on leadership development within the program, and NUS students are known for the soft skills that are a necessary in consulting, such as collaboration and leadership within a team. NUS is noticeably cheaper than many of the schools on our list, with a tuition cost of a little over $41,000. However, the average starting salary of graduates is also less than the other schools we’ve mentioned, coming in at almost $65,000. This is because a vast majority of graduates land jobs in Asia, where salaries in USD are lower. Still, the school’s most impressive statistic may be the fact that 98% of the Class of 2015 landed jobs within 3 months of graduation. The main consulting players here are Big 4 firms. If you are looking for an alternative to HKUST in Asia, and want to live in Singapore (who wouldn’t? ), NUS is a great option.